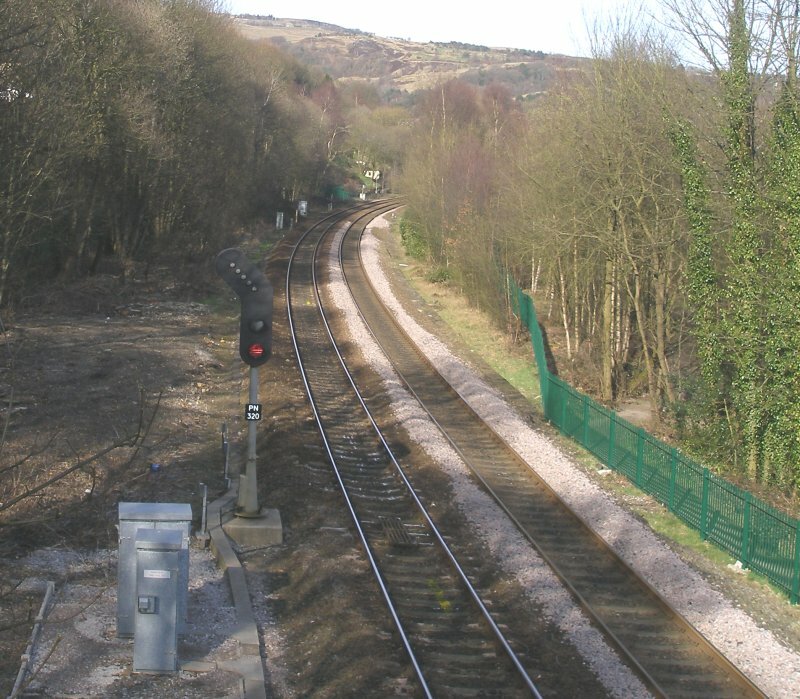 Dobroyd Crossing was immediately before Todmorden Station on the western approaches. 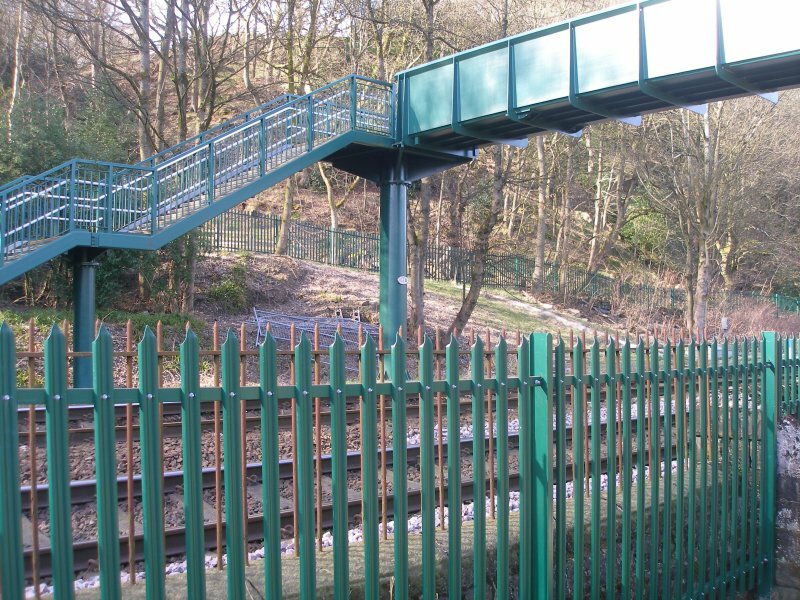 It also marked the start of Todmorden goods yard, with the 'Great Wall' terminating in the vicinity. 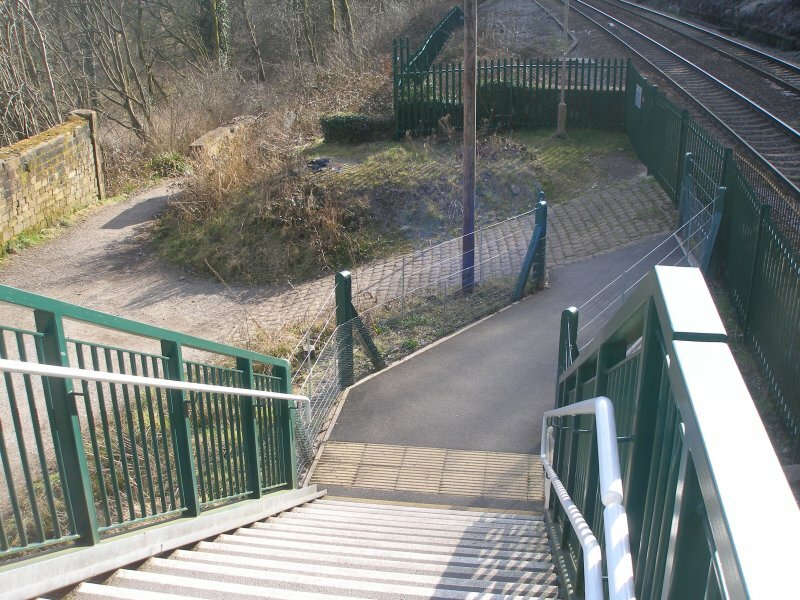 In 2014 Network Rail finally eliminated the crossing at this location, and installed a new footbridge. 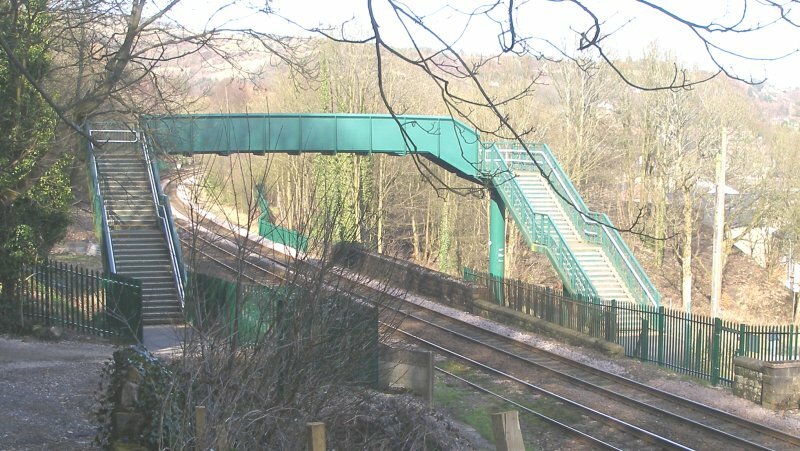 This followed from the re-laying of the Todmorden East - Stansfield Hall chord, and the decision to place the junction signal ahead of the station. 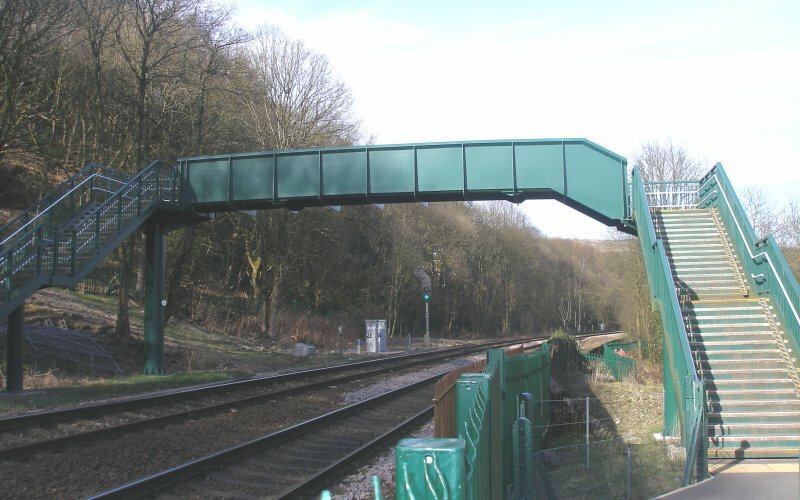 This simplified the interlocking works but necessitated the crossing’s closure as it would have been obstructed by any train standing at the signal. 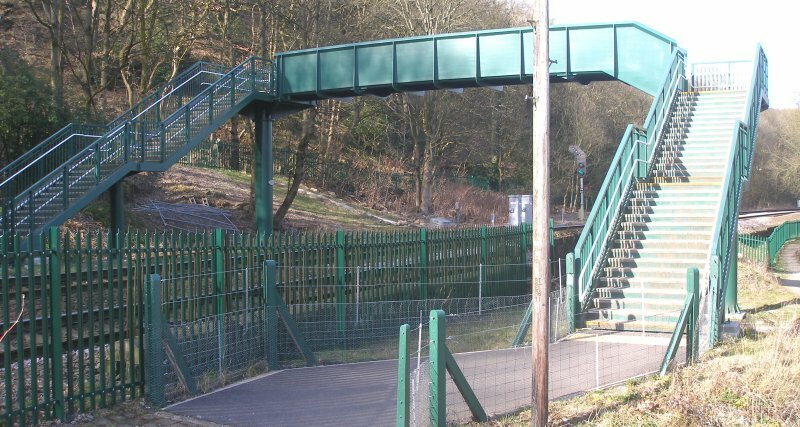 As part of the process the crossing was monitored by CCTV around-the-clock for ten days. This showed peaks of 150 users daily, most of them being children, as an activity centre had opened at nearby Dobroyd Castle in 2009. 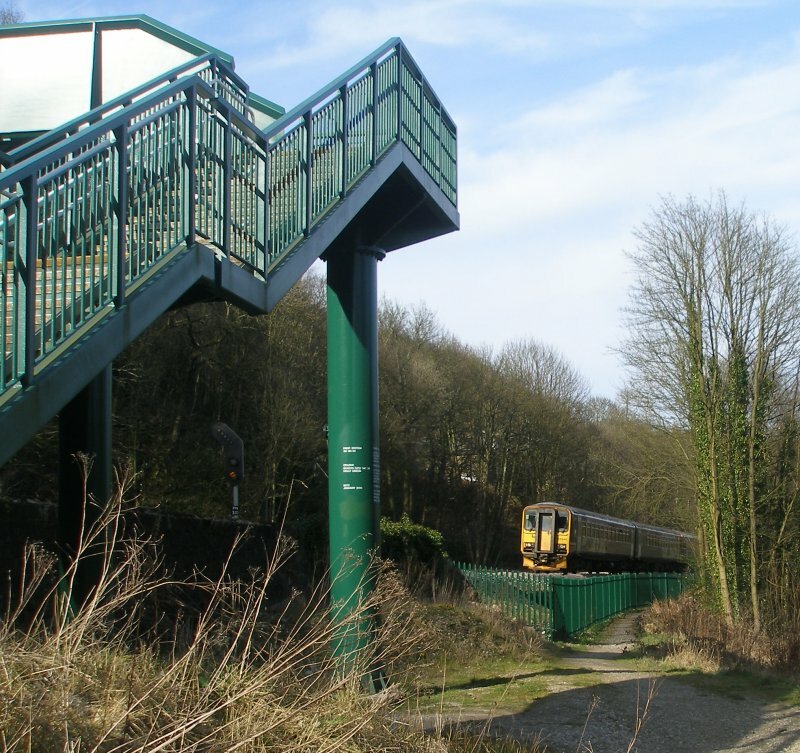 The subsequent crossings risk assessment score put it into the north-west’s top ten. The following images record the structure and surrounds as found on 25 March 2016. 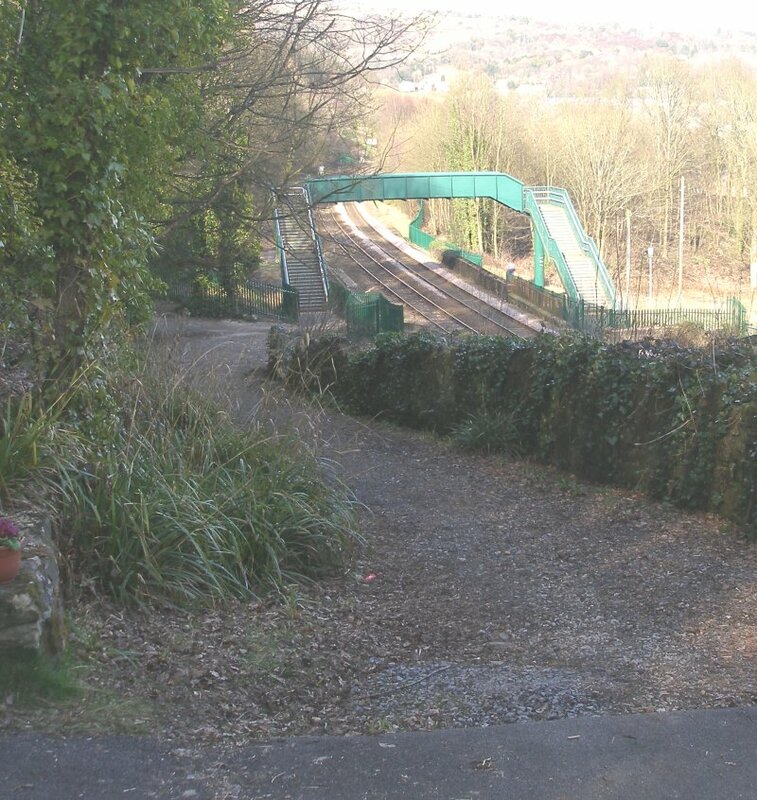 The entrance to the Down loop at Todmorden West was roughly where the modern signal now stands. The detail of this location in 1901 is captured in Chris Littleworth's Dobroyd Crossing signal box diagram at the bottom of the page. Service 2M14 14:18 Leeds to Rochdale approaches Dobroyd Crossing on 25 March 2016 formed with unit 155.244. 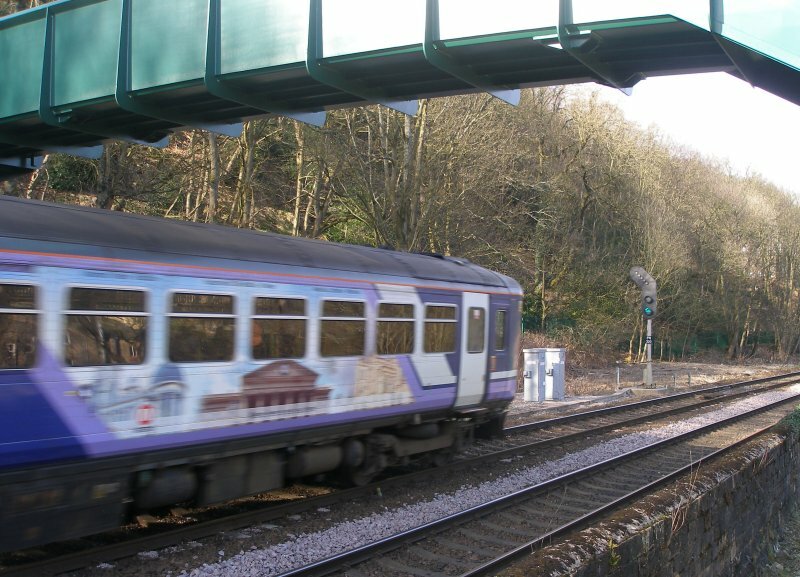 On Friday 25 March 2016 the 2E15 1501½ Rochdale to Leeds service passes Dobroyd at 15:10 hrs. Chris Littleworth notes that some time between January 1933 and February 1935 Dobroyd Crossing was downgraded from a Block Post to a Gate box, and that by 1955 that had definitely been replaced by a ground frame. The diagram below shows the state of affairs in 1901. 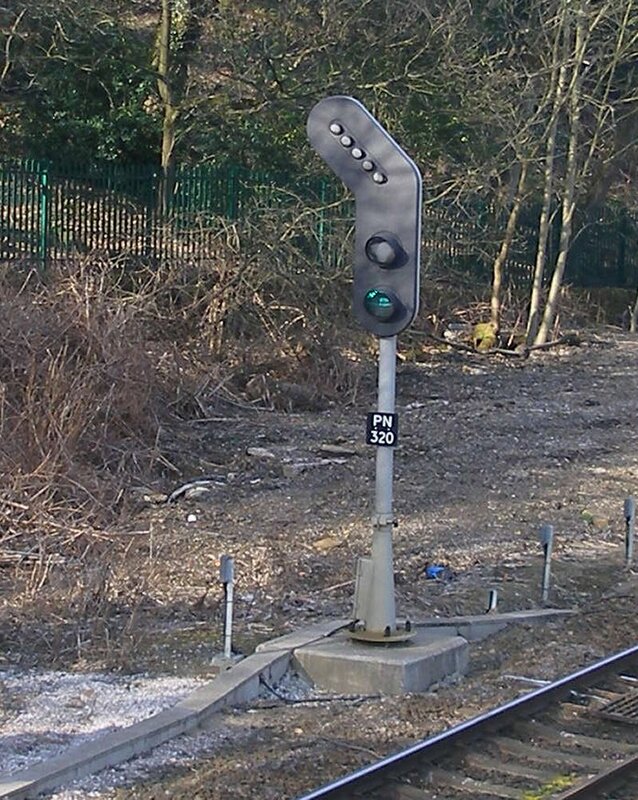 The purpose of the siding is unknown, although the fact is can be accessed from either line (albeit indirectly from the Down line), and is well signalled would make it a good spot for a banking engine to reside if one was deemed to be required.